Does Horner’s Syndrome Go Away? It is a rare disorder that is actually a cluster of symptoms affecting the nerves to the face and the eyes of a person. The ICD 9 Code for Horner’s Syndrome is 337.9. The condition is named after the Swiss ophthalmologist Johann Friedrich Horner who was the first person to describe it in 1869. The syndrome was also previously described by other individuals. However, it was Horner who is mainly accredited with the description of the condition. In Italy and France, Claude Bernard is also recognized as the discoverer of the condition. Hence, the name “Claude Bernard-Horner syndrome” is prevalent in these nations. In some cases, Horner’s syndrome may really be a congenital (present at birth) genetic condition. The condition may be accompanied by a lack of pigmentation of the Iris (colored region of the eye). This is especially true for sufferers of Neurofibratosis, a genetic condition that gives rise to the development of small tumors or lesions on diverse parts of the spine. When these affect the cervical spine, Horner’s Syndrome can arise as a consequence. Generally, the condition only affects one side of the face. This creates a major difference in the appearance of the eyes. In the affected side, the face may have a flushed, reddish appearance. The eyes may also show a different color. Some other signs of this disease involve Anhidrosis, Miosis and Ptosis. In children, this condition sometimes gives rise to Heterochromia, a peculiar condition characterized by a color difference between the eyes of a sufferer. In childhood, this generally occurs due to a lack of sympathetic stimulation which interferes in the melanin pigmentation of the Melanocytes. Melanocytes are present in the superficial stroma located in the Iris. In cats and dogs, signs and symptoms of this condition may include partial closure of the nictitating membrane (third eyelid). The diagnosis of Horner’s Syndrome can be carried out with the aid of three clinical tests. 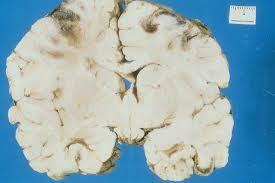 These examinations help confirm the presence of this disease as well as determine its severity. Administering paredrine or cocaine can help determine if there will be a dilation of the affected eye, causing an enlargement of the pupil. 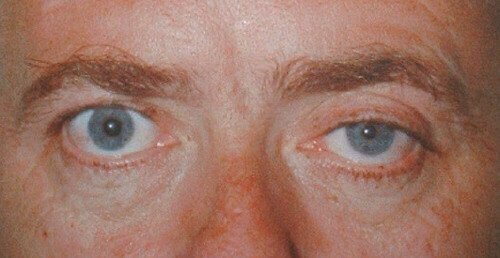 If the tests do not lead to appropriate dilation of the impacted eye, the individual is possibly a sufferer of Horner’s Syndrome. A complete neurological and medical examination can help determine whether any other parts of the human body are affected. Patients with this condition may be referred to a neuro-ophthalmologist (physician specializing in vision problems associated with the nervous system). The condition is often short-lived and does not necessarily need cure. Horner’s Syndrome itself does not have any cure. Treatment of Horner’s Syndrome depends on the cause of the disease. Fortunately, the resolution of the condition is often possible when the underlying cause is cured. If the difference in size of pupil in each eye becomes a cause of concern, eye drops can be used. Inserting tubes in the ears and using antibiotics can help cure problems like chronic ear infections. 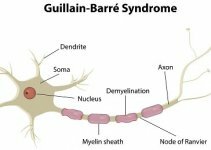 In some cases, underlying causes such as multiple sclerosis reject treatment and lead to a permanent or semi- permanent of Horner’s syndrome. However, presence of any incurable condition or potentially recurring disorders like Neurofibratosis may lead to persisting cases of Horner’s Syndrome. The prognosis of this disease depends on the success of treatment of the causative condition. If Idiopathic Horner’s Syndrome is detected, it can only be cured with time. However, temporary reversal of the symptoms may be possible by daily use of 2.5% phenylephrine eye drops (Mydfrin – Alcon) for two or three times. In the majority of cases of idiopathic Horner’s Syndrome in cats and dogs, spontaneous recovery may happen within an average span of 16 weeks. Horner Syndrome itself does not give rise to any direct complications. However, complications may arise from the treatment of the condition causing Horner’s Syndrome or from the condition itself. If the condition involves a postganglionic fiber, it can go away within a span of a few weeks to few months. This, of course, depends on the underlying cause. In case of postganglionic problems, the prognosis for recovery is generally found to be good. If you suspect yourself or anyone in your family to be having symptoms of Horner’s Syndrome, immediately call your health care provider. Timely diagnosis and cure can help resolve the condition faster and prevent any serious health complication in future.